Our Family has enjoyed living here for the past 28 years. We know you will treasure your time here. 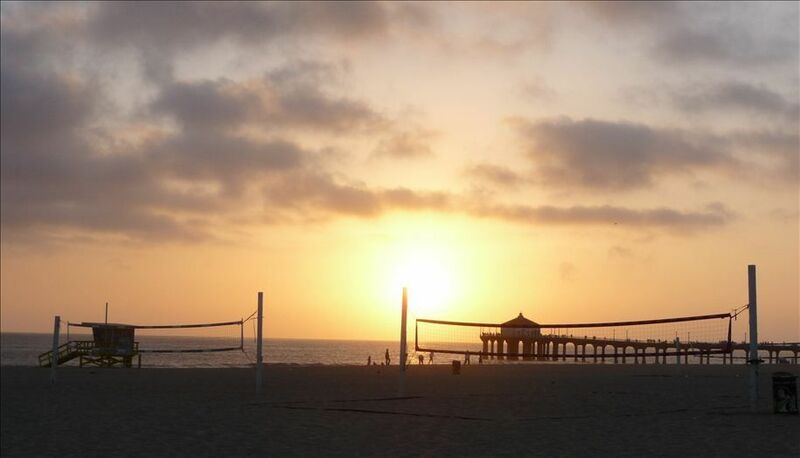 It is the best part of Manhattan Beach. Comfortable & easy! There are so many wonderful parts to this property. The Beach & View are like nothing you have experienced. Several areas to enjoy, the quite area with the swing to read in the shade. The lower deck to take in the beach without being on the beach. The upper deck off the living area with BBQ and privacy from all. We had a wonderful time staying in MB at this property. The location is perfect- right on the beach and a few short blocks to the downtown restaurants, bars and shopping. The view from the deck is spectacular- we watched the sunset every night. Perfect place for a family of four. We loved the use of beach chairs, boogie boards, umbrellas for the beach. Carla was a perfect host- always there to help if needed and very communicative. We hope to stay there again next year! We absolutely loved Carla and her beautiful home! She is so friendly and inviting and you feel like a welcomed guest from the very beginning. Her home is located close to shopping and great restaurants and the beach is right outside the deck. We already are looking at coming back. Thanks Carla for making our vacation so wonderful!!! Wonderful house and location, felt like home and very comfortable. Carla was lovely to deal with and we had a great holiday. The house is super comfortable and has an amazing, relaxed energy. The pool table was a major source of entertainment. The couch is extremely comfortable and large. The house suits people of all ages, and is very spacious. The view is outstanding, and the location unbeatable. The garage and car spots were much appreciated. Thank you Carla and family for sharing your home! It was great meeting you two. I'm glad you enjoyed your stay, we love sharing our little slice of paradise. Great communication with host. Comfortable digs in a superior location. What a great time we had in this wonderful place! The apartment is at the top floor of a charming wooden house right at The Strand. It offers a fantastic view at the beach and the boardwalk but you don´t hear the noise of the people wandering by. The sunsets are breathtaking! In walking distance you can find lots of restaurants, cafés and grocery stores. The house is clean and everything you need for a great day at the beach is provided (chairs, toys etc). And the parking (garage!) is very comfortable, too! In summary, this is a slice of paradise where we relaxed and enjoyed the laid-back atmosphere. We definitely would love to come back! It was great having you & your family! We hope you get a chance to come back & enjoy the paradise, we call home. Our family’s favorite vacation spot! This house is in the best location at the beach! It is very comfortable and well stocked with everything you need for a wonderful vacation. The owner is extremely nice and responsive. My family has rented houses in MB for many years and this is everyone’s favorite!